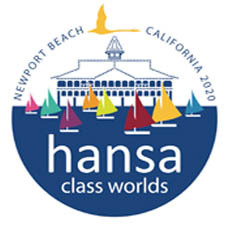 One year until the Hansa Worlds! Today marks one year until the start of the 2018 Hansa Class Combined World and International Championships. At a ceremony in Hiroshima today, a countdown board was unveiled by Organising Authority Chairman Tsunehiro Yumane, members of the Organising Authority and invited guests. 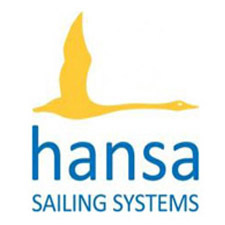 Guests included Hansa Sailing Director, Chris Mitchell, Outgoing IHCA Vice President of Development, Akko van der Veen, the President and Secretary of the Australian Hansa Class Association, Russell & Shauna Phillips, members of the 2018 Hansa Class Worlds Organising Authority and members of the Japanese sailing team. The site of the 2018 Hansa Worlds, Kanon Marina, will this weekend host the 10th annual Peace Cup regatta. Competitors and organisers are using this event as a ‘test event’ for the Worlds next year. Sailors from Australia, New Zealand, Hong Kong, The Philippines and The Netherlands have arrived in preparation for the weekend’s event and will join scores of locals in the Hansa 2.3, 303 singles and doubles. For the first time at the Peace Cup, there will be a fleet of the Hansa Liberties. “We aim to shortly provide details for a smooth, efficient and affordable solution for shipping boats to and from Hiroshima. This weekend’s regatta will – and has already – provided us with valuable information on all facets of our event” Mr Okita concluded. The Notice of Race for the 2018 Hansa Worlds is planned to be released in November and available on this website. Results and a report on this year’s Peace Cup will be published to this website.